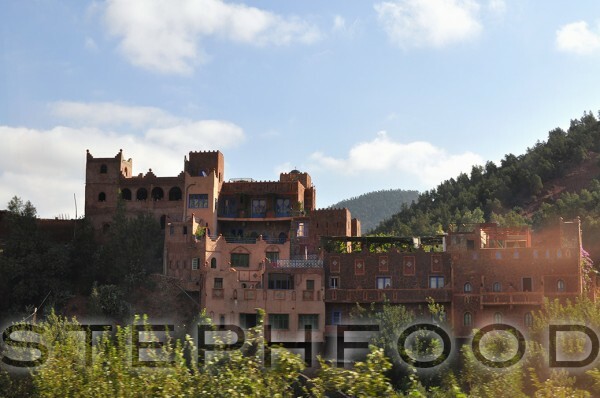 There’s something almost mystical about Morocco. Everything feels… different. My trip to the Oureka valley really drove that feeling home. beautiful red buildings match the red hills and contrast the blue painted doors and green grass and blue skies. 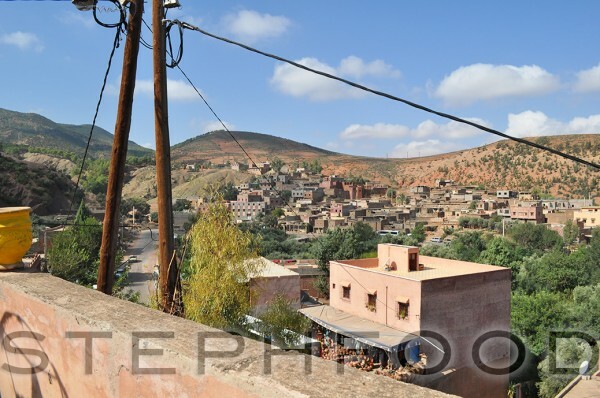 The Oureka Valley is just outside of Marrakech, Morocco, at the foot of the Atlas Mountains. The hills are a rusty red colour, as are most of the buildings here. Many visitors travel to Oureka for a hike, or a drive through the mountains. 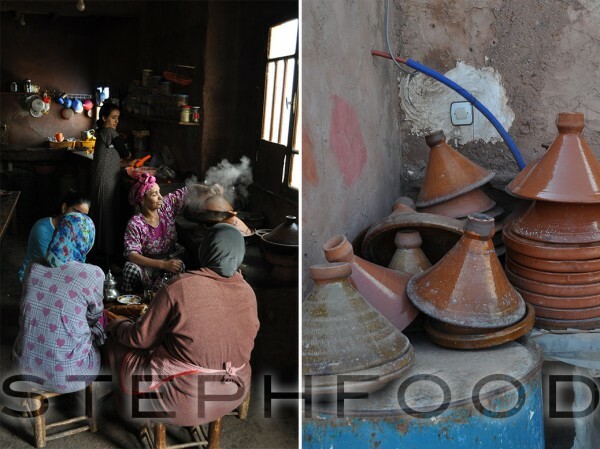 Our trip highlight was a visit to a Berber home, with breakfast and some Moroccan mint tea. This would be one of the top highlights of my entire trip. 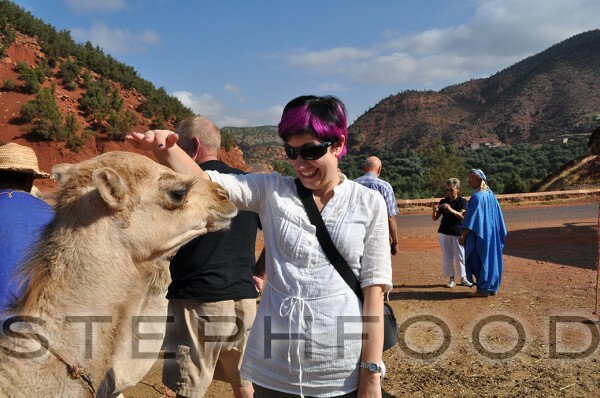 My new boyfriend, Salahaddin the camel. 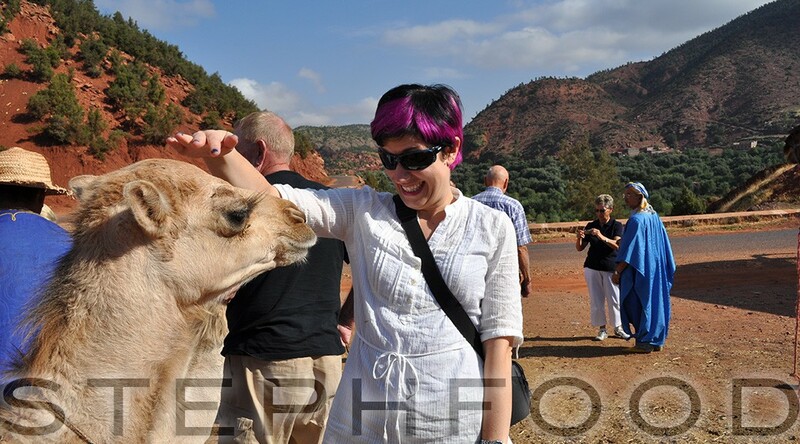 Our first stop was a wee leg stretch, and a visit with some friendly camels. For a fee, you could ride a camel. I considered it, but the line was long. Instead, I made a new boyfriend. He was a wee camel, compared to the others, and kind of reminded me of a puppy. I named him Salahaddin. I am thankful he did not spit at me. 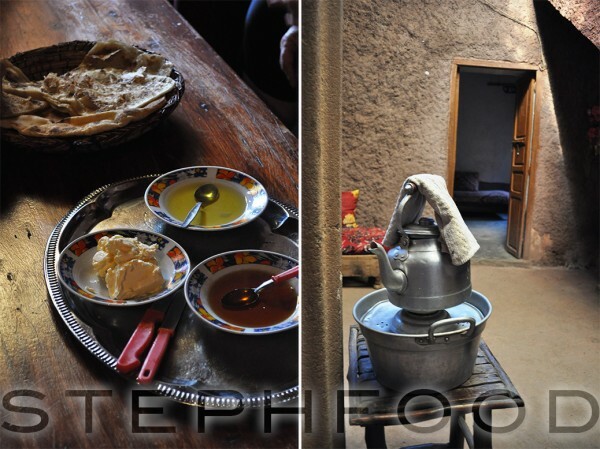 The next stop was a Berber house, home to an extended family. You couldn’t tell from the outside, but the home was quite big inside. In the kitchen, we visited with the women in the family; preparing the day’s meals. 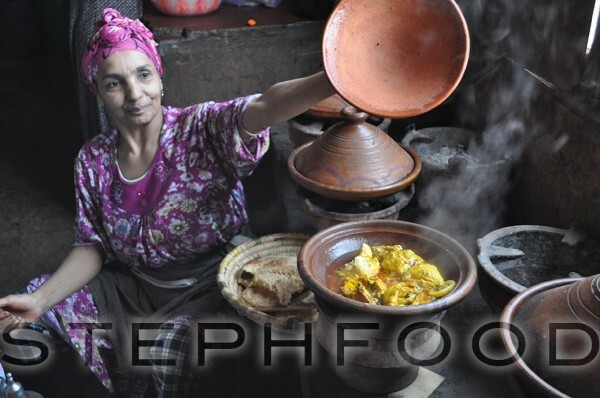 We were lucky to get a peek inside one of the tagines, where the chicken was cooking. We get to see what’s been cooking in the tagine. We were told that Berber people take pride in being self-sufficient, buying only what they need to supplement what they produce. This family produced the honey and olive oil that we enjoyed on our pancakes at breakfast. Let me tell you that they were the best honey and olive oil that I had ever had. While we ate, our hostess prepared the mint tea. It was as much entertainment as it was practical; I was in awe of her mad pouring skills. Breakfast in a home in the Oureka Valley. To top it off, the view from their roof was stunning. What an incredible day. The view from the roof of the Berber house. 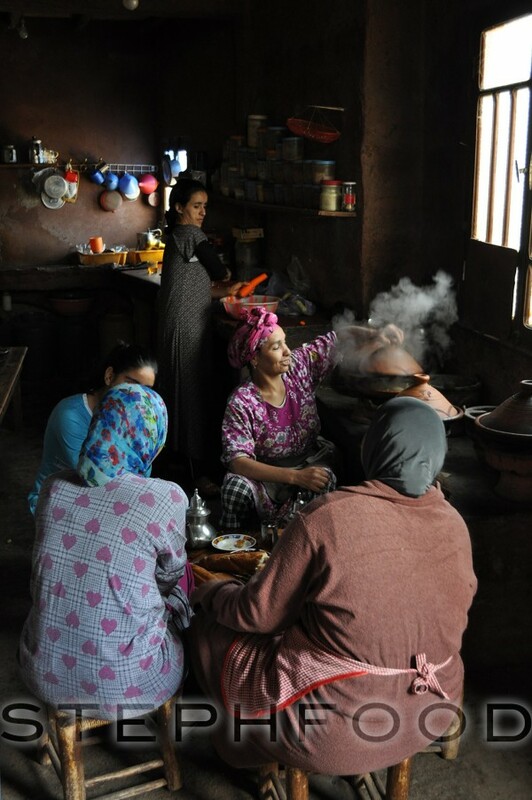 The women prepare a meal.